The flames of Donovan Nash's worst nightmare are fanned to life when Stephanie VanGelder, one of those closest to him, is kidnapped in the volcanic powder keg of a lawless Guatemala. With help from his inner circle that includes his estranged wife, Dr. Lauren McKenna, Donovan races headlong into the world of corruption and deception. Battling the kidnappers, as well as the deadly gas and lava from the impending eruption of a volcano, Donovan only has one chance to save Stephanie. Amid earthquakes, volcanic ash, and lava from the eruption, the rescue goes horribly wrong, and Donovan is forced to find a way for everyone, including a mysterious woman who holds the secrets to his past, to escape one of the most powerful forces on earth. 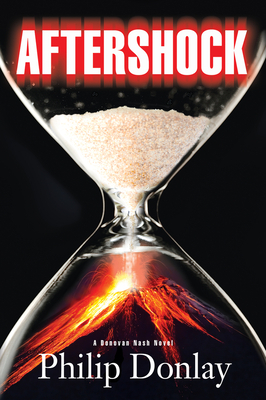 Aftershock is the story of Donovan Nash, a man battling his torturous past, while struggling to survive the volcano along with those who matter most to him. In the face of impending death, Donovan must garner the courage to endure a shocking revelation he's sought for decades--a truth that will change him forever.